The Yankee Peddler, Wrightwood, California. 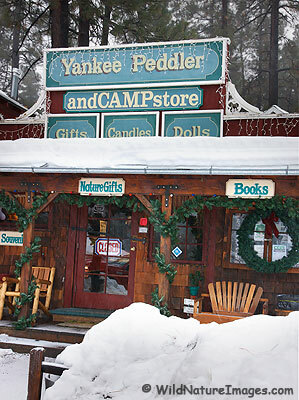 For me, the Yankee Peddler isn’t just a cool little photogenic store in Wrightwood, but it is also owned and operated by my sister-in-law Brenda. We spent Christmas with family in Wrightwood, where I think they had as much snow as we did in Alaska. 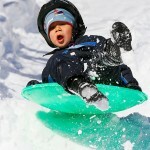 It is interesting what happens when it snows in the mountains so close to a huge, snow-less city like Los Angeles – thousands of people flock there to play in the snow. The traffic was pretty crazy, but it looked like people with sleds and snowballs were having a lot of fun. Now, that’s my kind of store! Great shot too! Really pretty. Reminds me of a town in N. Ga. mountains called Helen. Thanks Beth – sounds like a place I should check out someday! Yeah, look it up on the web. They are really having a good time in Helen during Octoberfest! Pretty cool place to own a shop! Looks like you had a fun week Ron. Very Cool! Not far from my house – I think I need to make a run up the hill and check it out. Thanks Rick! It is worth a visit – but weekends have been really busy up there with snow-chasers!